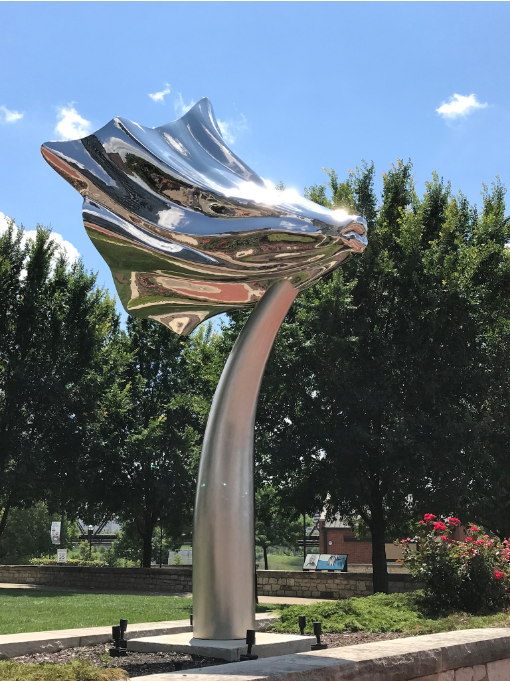 Two Steel sculptures face each other across an intersection. 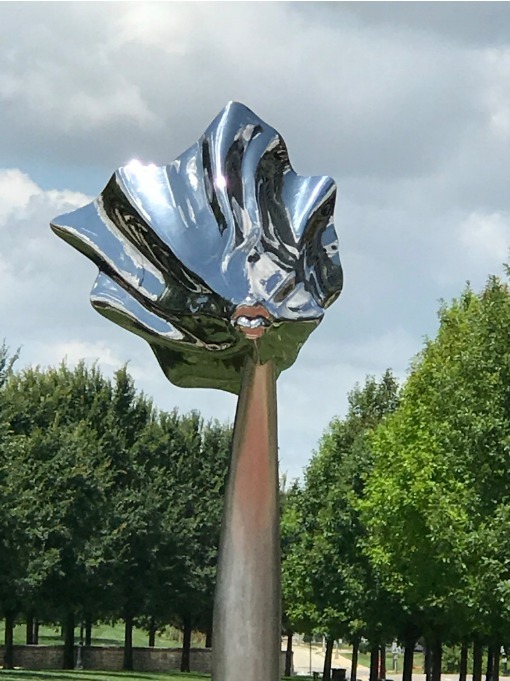 Both are wide, rippling shape that narrows to lips ready for a kiss. 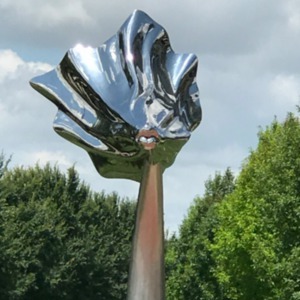 The sculptures sit on top of rounded stands. 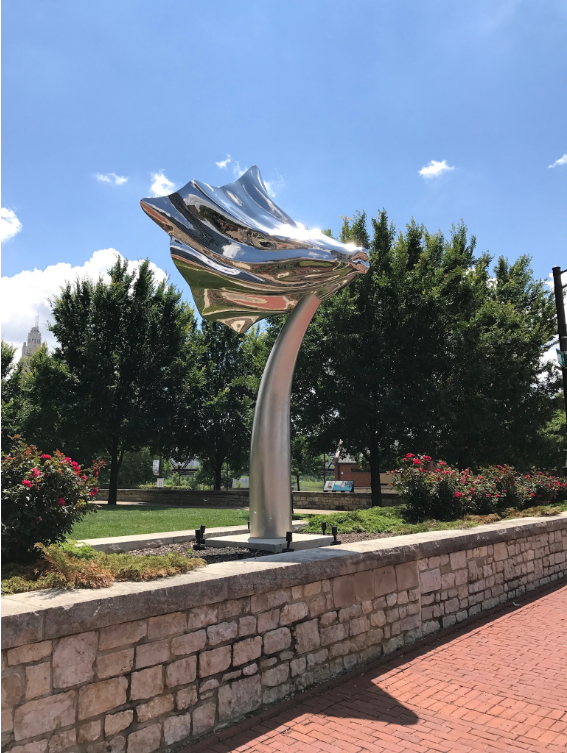 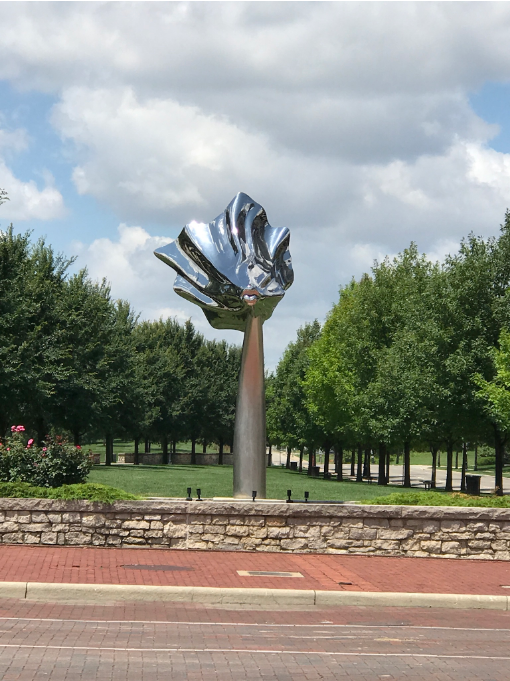 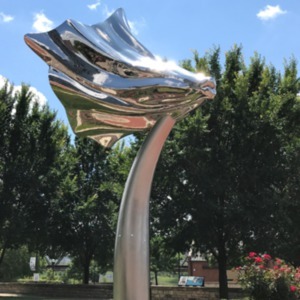 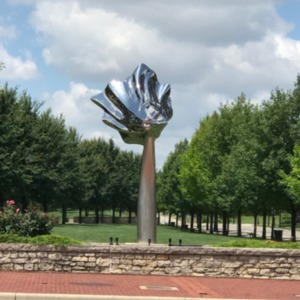 : Lawrence Argent, “Flowing Kiss,” Ohio Outdoor Sculpture Inventory, accessed April 22, 2019, http://oosi.sculpturecenter.org/items/show/1470.